I love summer time. I love it, I love it, I love it. One of the best things about being a teacher are these glorious 3.5 months of freedom I get each year. It’s during those amazing, sun-filled summer months that I get to really dig in and run. Some years I’ve trained for a race. Others, I’ve been focusing on weight loss. This year, I’m running for the fun of it. I still have my eye on the Seven Bridges Marathon in Chattanooga this fall. I still have plenty of time to work up to the mileage for a slow 26.2 if I want, and I can definitely hit the 13.1 half-marathon by that mark, too. But I don’t really care if I do. I thought I would. But after doing a 60-day runstreak, I’m running for fun more than discipline and training right now. Not having a plan is actually making me enjoy running more than I have in a long time. I look forward to running. Because there’s no pressure. Sure, I might have a goal for the day, but it’s not going to be set in stone. There hasn’t been a single day this summer where I’ve felt any kind of pressure to perform at my peak. Because I’m performing. And that’s enough right now. Some days I run a 5K. Others, it’s 10K. I’ve even skipped entire days when I should have been running and just turned on podcasts and took extended walks around my neighborhood because the day was so lovely. It’s a lot of fun. I go out for a bit between scenes or chapters as I’m writing. Whatever I feel like, I get to do. It’s a wonderful luxury that I am not going to take for granted. It’s only beginning. I have only been finished with the semester for a full week. Sure, I’ve got a few meetings and orientations this summer, but for the most part, things are just getting started. And if I’m having this much fun at the beginning of the summer, I’m going to be downright deliriously happy by the time school starts back up again in August. 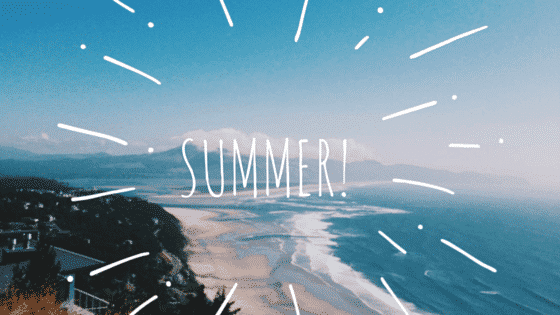 How are all your summers starting out so far? Full of fun in the sun, I hope!